Home > Blogs > What to Look for in an Affordable House Plan: Simplicity, Efficiency and Practicality –With Style! What to Look for in an Affordable House Plan: Simplicity, Efficiency and Practicality –With Style! 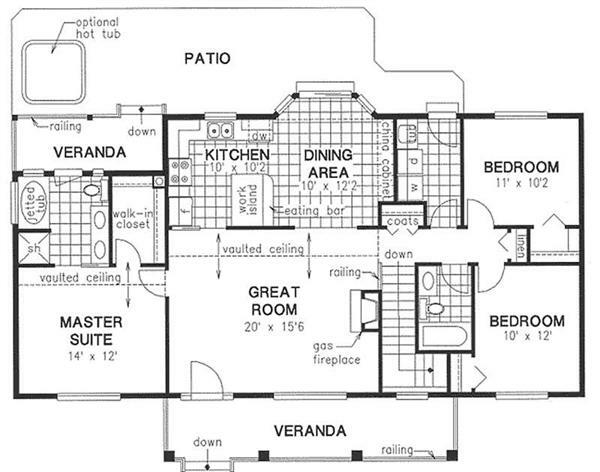 Affordable House Plans: Simple, Efficient, Practical, and Stylish! With the days of “bigger is better” over, most people are looking for homes with smaller footprints - affordable house plans that are simple, efficient, and practical. And there’s no reason to think that “affordable” translates into unattractive. From a one-story ranch to a two-story country home, affordable house plans can be just as stylish, appealing and luxurious as those in a posh neighborhood. 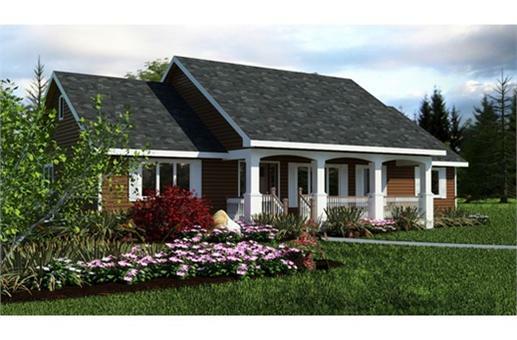 There’s nothing shabby about these affordable house plans: the one-story country home (left) - with 1,800 square feet of living space - has three bedrooms, two full baths, covered front porch. Slightly bigger at 1,831 square feet, the Craftsman house plan on the right has three bedrooms, two-and-a-half baths, covered porch. 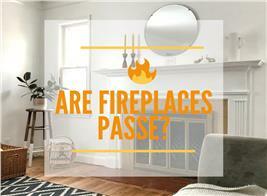 Both have a “great room” and fireplace. Aside from the small footprint – about 1,300 to 2,300 square feet in size - affordable house plans have simpler foundations and framing that save money on construction materials, labor, energy, and maintenance costs. Ranging from one-bedroom to three bedrooms with one full bathroom to three-and-a-half baths, floor plans are efficient; and design features are classic and attractive. 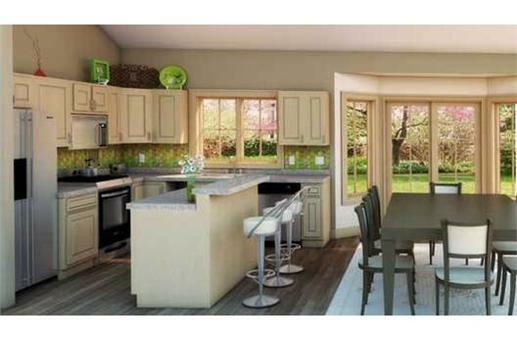 Some plans come with bonus room options as well as kitchen islands and breakfast nooks. 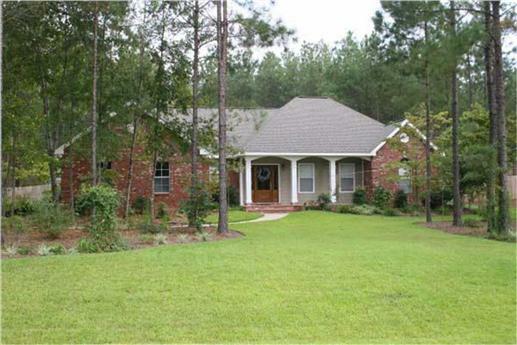 A single level country ranch house design with a covered veranda, three bedrooms and two full baths…and a lovely living area with fireplace and kitchen-dining space. Inertior photos of this home are shown right below. A two-story house plan (1,460 square feet) with three bedrooms and two baths is highlighted by a master suite with walk-in closet. Other features include a foyer, fireplace, deck/patio, open floor space, screened porch, mezzanine, screened solarium, and cathedral ceiling in family room. Who’s in the Market for Affordable Homes? The appeal of smaller, affordable house plans continues to increase especially in tight financial times. Because they are economical and flexible, they are perfect for diverse segments of the population and their unique situations. 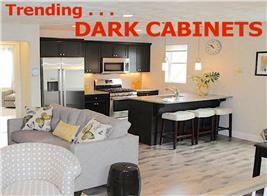 Plenty, it seems… as more people look for smaller and more manageable home plans. In fact, choices can be quite overwhelming. > There are amazing one-story and two-story affordable house plans with attractive and manicured front yards that enhance their curb appeal. 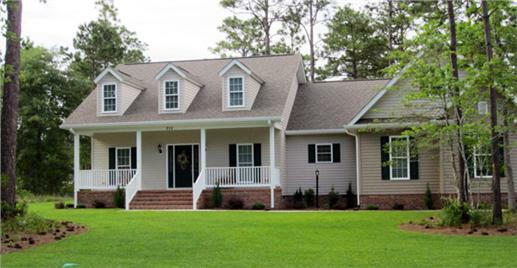 Shown Above and Below: A one-story ranch with three bedrooms (includes a master suite with large walk-in closets), two baths, covered front and rear porch packed into 1,654 square feet. 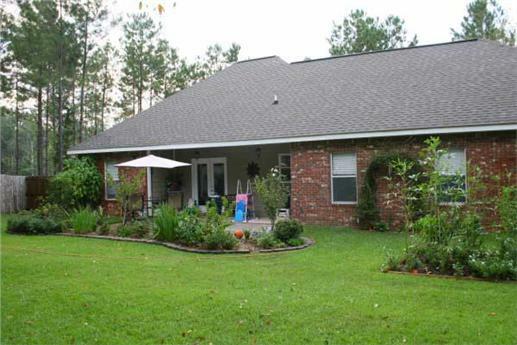 One great room – living-kitchen-dining – opens into rear porch-backyard (shown below). Shown Below: The two-story house design with 1,480 square feet has two bedrooms and two baths and fantastic natural surroundings. The great room/dining room/kitchen combination with large windows and an adjacent covered deck invites the outdoors in. > Although smaller in terms of square feet, affordable house plans come in a variety of architectural styles - ranging from ranch to craftsman, country, contemporary, modern and vacation house plans. They also offer fashionable and trendy exterior/interior design elements such as porches, sundecks, great rooms, fireplaces, eat-in kitchens and basement foundations. Here’s what to look for if you are in the market for an affordable house plan – without sacrificing quality and style. 2. Smaller lot and smaller plan footprint. 3. Reduce the “ornamentation” (like multiple dormers, elaborate entryways). 4. 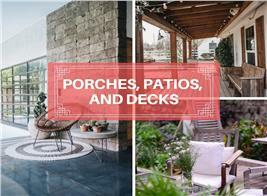 Add a porch, deck, even a balcony for curb appeal and outdoor enjoyment. 5. Include a garage(s) for storage space and potential expansion. 6. 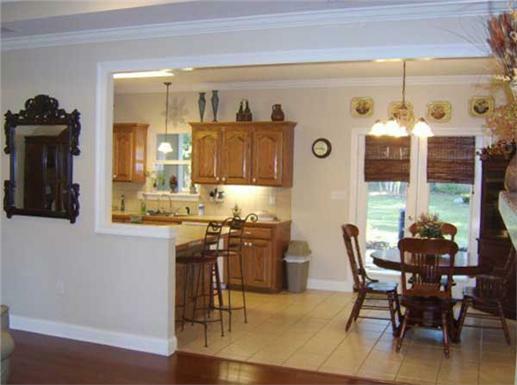 Opt for open floor plans – one great room, merging the living/dining/kitchen areas. 7. 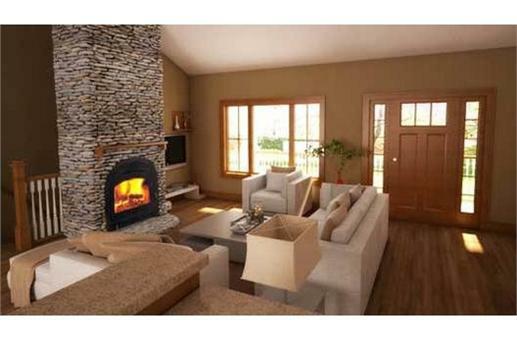 Allow enough space in living room / great room for a fireplace. 8. 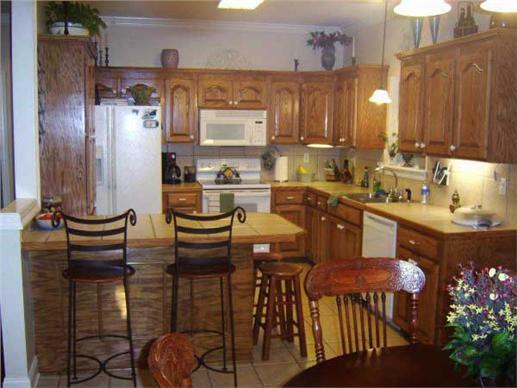 Open shelving in kitchen area/kitchen island or built-in cabinets. 9. Optional basement for additional space. Shown Above: A one-story, four-bedroom house plan with two garage bays, a covered porch, foyer that opens into a great room with 1,965 square feet. The bedrooms frame the kitchen-dining-living-breakfast areas. You can glimpse a view of the backyard and grilling porch from the breakfast room. 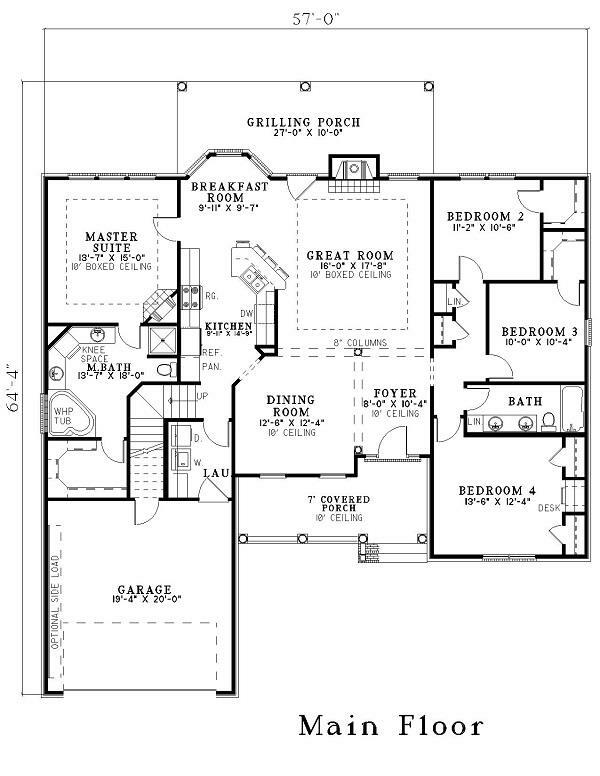 Shown Above and Below: On the larger side of the spectrum of affordable home plans – almost 2,100 square feet of space - this two-story, three-bedroom home has a master suite (shown below), two-and-a-half-baths, kitchen island, formal dining and living rooms, sun room, foyer, and fireplaces. There are two garage bays and room to expand above the garage. Top it all with a lovely front porch that is a welcome sight. Whether you are looking to buy a first home or are in the market for a vacation/weekend retreat, there are affordable house plans that are not only architecturally sound but charming and at times, also simply breath-taking. 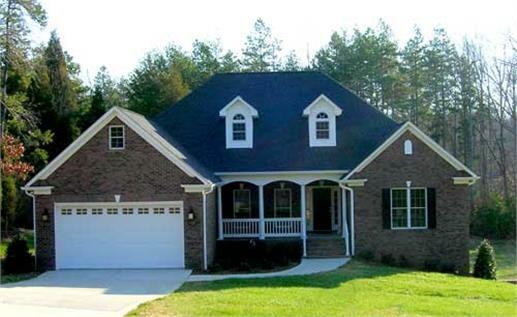 Are you ready to run with your imagination and design an attractive and appealing affordable house plan?